From the Restaurant to Your Home. Cook dinner using the same range professional chefs use: the stainless steel Kenmore Pro 5.1 cu. ft. electric true convection range. Designed with control and style in mind, this range not only looks great in your kitchen, but makes crafting the perfect meal faster and easier than ever. 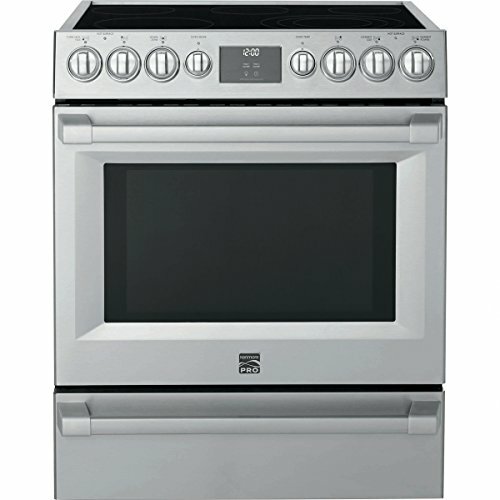 Buy Kenmore 2292583 True Convection Electric Range, 5.1 cu. ft. Stainless Steel at Discounted Prices ✓ FREE DELIVERY possible on eligible purchases.